For the past twenty-five years, Ed Dwyer has been engaged in fund raising and coordinating activities to provide ways for youths of the Peoria area to enjoy sports. His leadership role in the Independent Sports Club as a director and as president was pointed toward the betterment of youths in sports. This objective also spurred his interest in being a leading salesman of fund raising tickets for the Old Timers Baseball Association, and the Spalding and Bergan Booster Clubs because the ultimate goal was to help the youth. Ed is involved in the "Friends of Fatherless Boys and Girls Club" because it offers a chance to help those in need. And his position of being one of the Founding Fathers of the St. Patrick Society heightens his interest due to the fact that this organization also is dedicated to doing charitable work for youths. On many occasions, Dwyer has coordinated tickets between Bradley University and Youth Farm so youngsters could enjoy the many sporting events at the University. Ed and his wife Mary Ann have three children and three grandchildren. Ty Franklin recently retired from Richwoods High School, where for the last 27 years he established himself as one of Peoria's premier coaches in baseball, basketball, and cross country. As a baseball standout himself at Eureka College, he pitched the only no-hit game in Eureka history and was offered a pro contract. Instead, he began his coaching career at Ogden, then Potomac High School; his 1955-56 Potomoc team setting an area record with 59 wins over two consecutive seasons. Coming to Richwoods in 1957 he launched a career that ultimately earned him many awards including Athletic Director of the Year of the State of Illinois 1978; Tri-County Sports Figure for the Peoria Area 1978 and 1980; and USA Today's Illinois Baseball Coach of the Year (Western Area) 1984. In baseball, he coached his 1978 Richwoods team to a second place finish in the IHSA State Tournament Class AA and in 1983 another team was a quarter-finalist. In six out of nine seasons his baseball teams had outstanding seasons of 20 or more wins. 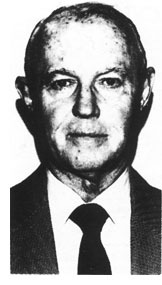 And as basketball coach for 13 years at Richwoods, his teams compiled an overall record of 178 wins and 132 losses, his two teams in 1959 and 1962 registering 42 wins against only 9 defeats: Twenty one years as cross country coach netted him a remarkable record of 241 wins against 27 losses. 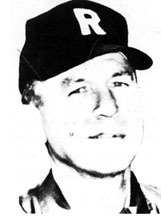 Ty was inducted into the State Baseball Hall of Fame in 1981, was selected by the National Awards Committee as Region 4 Baseball Coach of the Year in 1985, and was inducted into both the Illinois Basketball Coaches Hall of Fame and Eureka College Hall of Fame in 1985.